Yes I did just start at AT&T a little over a year ago. Right after I got hired, they put in a hiring freeze. They downsized 2 departments and laid off 22 managers in my department. We have steady work but it is slowing. AT&T is wanting to go 100% wireless. They cant until the FCC and the government allows them to either abandon the copper network or allows another company to take over their mandated network build. I am moving to CenturyLink. I will be doing almost what I did with AT&T but my state doesn't have tv service through them. I am going from $17.70 with 48 out of 72 months of credited service to $24.10 and 36 out of 48 months credited service. So I will hit cap 1 year sooner, a bigger cap in pay, and instead of OT after 40 hours of work, it will be OT after 40 a week and 8 per day. They are short 3 people and allowed to hire 1. Since the tech I worked on at AT&T is just now being introduced to the IL market, they are wanting some of my expertise in helping to install and repair those services. Oh I gotcha. I was thinking it was just a few months ago for sone reason. Good luck at the new place. Good luck with the new job. Is anyone else not getting notifications? I haven't been for months. Every now and then ill get one, but usually I just swing by and read the new stuff, watch BC triple turbo build. I get zero notifications. Haven't for a year or longer......then again,I barely get on anyhow. I'd check the box for email notifications, get one, or two, then back to no notifications. Just clicking new posts has served me well enough for most of my time here. Marry Christmas guys, may God bless each one of you and your families this year with health and happiness. Merry Christmas to you too Dar! At least I got the health part! And Merry Christmas to everyone else too! Merry Christmas to all the other first genners out there. Let's not forget the real reason we celebrate, which is the birth of our Lord and Savior. Merry Christmas everyone. I hope you all get to spend it with the people you want to. 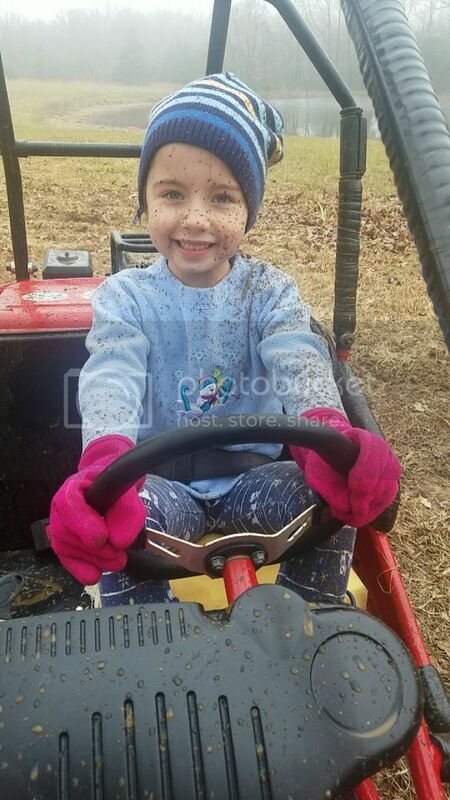 I think the gokart was a hit with my granddaughter, over 2 1/2 solid hours of mud slingin, we had to make her stop to open the rest of her stuff, after she got a shower though. That's great dar. Always good to get them into automotive stuff young.